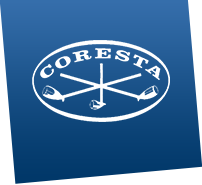 The CORESTA Recommended Methods (CRM) Nos. 37 and 38 are available for the analysis of the respective tobacco parameters but there is no harmonised method available for the analysis of ‘Total Sugars’ in tobacco. The CORESTA Scientific Commission approved a study project, coordinated within the Routine Analytical Chemistry (RAC) Sub-Group, for the development of a harmonised method, based on CRM No. 38, for the determination of ‘Total Sugars’ by continuous flow analyses (CFA) in tobacco and tobacco products. This report outlines the collaborative study leading to the development of CRM No. 89.